For those days when you can’t get to the Coffs Coast Health Club…use your Body as Your Gym! Here is a great workout you can take with you while you’re away from home on business or holidays. Use this beginner’s guide to bodyweight training for a workout you can do anywhere, anytime. Download the file at the bottom with easy to follow instructions. Hey why not apply this info for your workouts at the club too? Unfortunately, the trouble with bodyweight workouts is their very nature: you’re trying to lift your bodyweight in order to lose your bodyweight. This can be a tricky endeavour, because you might not be strong enough yet to do sufficient reps to create a significant calorie burn. That’s why we got Mark Lauren, strength coach and author of You Are Your Own Gym (Light Of New Orleans Publishing), to give you the easy way to build the power to successfully do traditionally tough moves that make up so many bodyweight workouts. With each move you’ll get a little tweak to make it slightly harder, which you can progress towards. What did researchers see when they spied on every living, breathing moment of 32 families for four days straight? With the school year about to kick off we thought you might need some help in the family “stress” department. Of course you know that working out at Coffs Coast Health Club helps to reduce your stress levels, add to that some other strategies that might just come in handy. Best of wishes this week as your children start the 2012 school year. It was the first experiment of its kind: Thirty-two California families opened their doors (their front doors, bedroom doors, even bathroom doors) to researchers from UCLA who wanted to find out how they manage the demands of work and family life. With a three-person crew, researchers occupied families’ homes for four days from morning until bedtime, recording every minute spent folding laundry, every homework panic, every dinner table dispute about the yuckiness of vegetables. The researchers conducted interviews with each of the family members and measured their stress levels throughout the day. The families were studied between 2002 and 2005; each had two working parents, two or more children, and a mortgage — a profile that looks like many American households. “When I observed these families, I felt like I was looking in at my own life,” says lead researcher Tami Kremer-Sadlik, Ph.D., director of research at UCLA’s Center on the Everyday Lives of Families. “I’m a working mom with two children, and I could identify with the women we studied who reported feeling pressed for time and who were trying to balance work and family demands.” But among those stressful moments, researchers also saw the key instances of warmth and love that make great families. And as Kremer-Sadlik and other female researchers who had their own families found out, getting a glimpse into the lives of other families gives us a unique perspective on how to better take care of our own. Use what they learned to calm stress and create joy in your house. 1. Low-stress couples don’t divvy up the chores. For one part of the project, Kremer-Sadlik and a colleague studied how couples’ division of housework was connected to their marital satisfaction. “Surprisingly, it didn’t matter how evenly couples split up the chores,” Kremer-Sadlik says. “We found that both spouses were happier when both felt like they were working toward the same goal, regardless of who did more” (and women did more across the board). “The women in happy marriages told us that their spouses seemed to have an understanding of what needed to be done. We observed their husbands setting the table while their wife was cooking, or straightening up without being told what to do.” Sound too good to be true? Know that just talking about your joint mission for the family can eliminate much of the “keeping score” conflict. “The happy couples often discussed their shared goals for their family,” she says. “There was more of a we-ness there — and that spilled over into chores. Their attitude was more, ‘We do for our family,’ not, ‘I do this for you.’” But with two working parents’ and children’s schedules to coordinate, researcher Darby Saxbe, Ph.D., a 33-year-old mom from Los Angeles, observed many couples communicating only about who needed to do what. “It felt like they were running a business!” Saxbe says. “Squeezing in little moments of fun with your partner — whether you steal a quick kiss or exchange a joke — makes a difference.” And researchers noticed that in some homes where the wives expressed more appreciation, the husbands also took on more household tasks. Believe it or not, using processed convenience foods for dinner doesn’t actually save you cooking time. That’s what really surprised 39-year-old mom and researcher Margaret Beck, whose focus for the study was food preparation. “All the families spent roughly one hour preparing dinner, whether they used processed foods or fresh ingredients,” she says. The moms who prepared more convenience foods tended to overcompensate by having more courses — either side dishes or separate meals for the kids — which wasted time. And if you want your children to eat what’s on the table: “The kids who assisted in the food preparation always ate what was served,” Beck says. “And the mood in the house was lighter and happier when the kids spend cooking time in the kitchen.” Talk about a win-win! If you feel guilty every time your family plops in front a television after a long day rather than doing something more interactive, don’t sweat it. “Families who watched TV together showed many bonding behaviors,” Campos says. “Bonding can be sharing snacks, high-fiving each other if the Lakers score a basket, or guessing trivia questions together during Jeopardy!” Even sitcoms can bring you closer. “When families laugh together during a TV show, that’s a shared moment they have in common, and it creates a memory,” she says. So on days where you just can’t muster the energy to recruit the kids for crazy 8’s or kickball in the yard, know that a little TV time can be good for your family too. 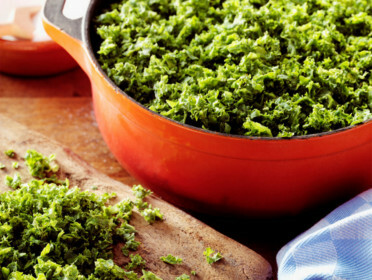 Add these foods to your diet in 2012 and you’ll reap the benefits. Nutritionist Lisa Guy shares her top 10 nourishing nibbles for the new year. Quinoa (pronounced “keen-wa”) contains more protein than any other grain. It can help lower cholesterol levels as it is a great source of fibre and helps to promote cardiovascular health. Quinoa contains a range of important nutrients, such as iron and B vitamins, for red blood cell production and energy; calcium, for strong bones; magnesium, for nervous system health; and vitamin E, a powerful antioxidant. It’s also an ideal grain for diabetics as it has a low glycaemic index, which will help keep blood-sugar levels stable and prevent sharp spikes in insulin. You can use quinoa as a substitute for rice. Seaweed is extremely nutritious and contains health-promoting compounds not found in any other plants. Eating seaweed is an excellent way to increase your antioxidant intake and help protect against cancer. It’s also a good source of zinc, needed for immune health; B vitamins and iron, to improve energy levels; and iodine, for healthy thyroid function. 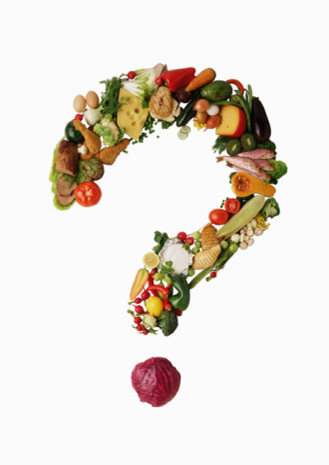 In my 15 years as a registered dietitian I have seen nutrition myths come and go. But some myths demonstrate particular staying power. I thought it would be fun to list nutrition myths that continue to live on despite the lack of research to substantiate them. 1. Don’t eat past 6 p.m.: It’s common for people to pick an arbitrary time, like 6 p.m., to stop eating for the day. But there is no research that eating dinner at a particular time in the early evening makes a difference. What does matter is how much someone eats and whether or not they eat during sleeping hours. There is a tendency for people to eat more at night or snack non-stop while watching TV. Many may stay up so late that they get hungry and eat again before bed. In mice, eating at times one should be sleeping results in increased weight even when calorie intake is the same. Researchers believe this is why shift workers tend to gain extra weight. Bottom line: Eat a sensible dinner at the table at a time that works for you, don’t stuff yourself, and go to bed early enough to allow for a good night’s sleep. 2. Drink eight 8-oz glasses of water every day: This myth might win the prize for the longest lasting before it was finally disproved. I, too, used to tell people to drink this much water (shame on me!). But a 2002 study in the American Journal of Physiology found no evidence of benefits from consuming large amounts of water. In 2004, the Institute of Medicine came out with recommendations dropping set amounts of fluid and, instead, suggested using thirst as a guide. Not only that, but all beverages count as fluid — even caffeine-containing beverages such as coffee (not quite the diuretic we thought it was). Bottom line: no need to force feed water, but keep some on hand to quench your thirst throughout the day. 3. Carbs are bad: Just when we finally debunked the myth that fat is bad, many now believe that carbs like pasta, potatoes and bread don’t belong in a healthy diet. Much of this carbs-are-bad myth comes from exaggerations about the body responding with high blood sugars and surging insulin levels, causing carbs to be stored as fat. But it’s not just what we eat in terms of carbs but how we eat them. For example, a 2006 study published in the Journal of Nutrition shows that mixing protein, fat and fiber with a meal substantially lowers the glycemic response. Bottom line: Make at least half your grains whole and enjoy your favorite refined grains with a balanced meal (i.e., salad topped with protein, olive oil-based dressing and a French roll). 4. More protein will build muscles. A coworker once asked me if she really needed the 150g of protein her personal trainer recommended. She was trying to build muscle mass (but not too much) and questioned this because it was so difficult for her to make it work. While the American College of Sports Nutrition does recommend more protein in the active person, it’s not as much as people think about 1.2-1.7g/kg per body weight vs. 0.8g/kg for the general population. For my 120-pound friend, that would be about 80g of protein per day (at 1.5g/kg). The key is to make sure you have enough non-protein calories (fat and carbs) so the protein is utilized for muscles and not energy needs. Also, timing of protein intake matters as consuming some after a workout promotes muscle repair (protein bar or cheese and crackers). Bottom line: Get the right amount of quality protein, but not too much. 5. Multivitamins are good insurance: For years people have consumed multivitamins for “dietary insurance.” Yet according to the 2010 Dietary Guidelines for Americans, there is little evidence that multivitamins prevent chronic disease. That’s not all — there may even be some negatives to consuming too much of certain nutrients like folic acid, but more research is needed. Instead of blindly taking a multivitamin, look at your diet for nutrient gaps. First, check the amount of vitamins and minerals you are getting from fortified foods like cereals, bars and snack items. Are you eating from all the food groups? Take a food first approach and if you can’t make the improvement, look for supplements to meet the gaps. Sometimes that might be a multivitamin but other times it might be single nutrients like vitamin D or omega-3 fatty acids. It’s still recommended that women of childbearing age take a multivitamin with folic acid to help prevent neural tube defects. Bottom line: Don’t take vitamins for insurance. Understand what you are getting from the supplements you take and why. What nutrition myths have you seen persist? Share them here or visit us on facebook. Some reasons for sleep loss are obvious — espresso nightcaps, wailing newborns, and insensitive neighbors playing the drums. But the causes of sleep loss aren’t always so clear. While some of these unremembered wake-ups are normal, too many will leave you chronically exhausted. And many common causes of sleep loss result in just this sort of brief, hard-to-catch awakening — making it even harder to sort out the cause. Here are six surprising causes of disturbed sleep. While lots of people let their pets snuggle in bed with them for comfort, evidence suggests that animals in bed make it harder to sleep. According to a survey by the Mayo Clinic Sleep Disorders Center, 53% of people who sleep with pets say that their animals disturb their sleep. Animals just don’t have the same sleep and wake cycles that we do. So 3 a.m. to your cat might seem like an excellent time to start pouncing on your feet. Even more subtle disturbances — the clanking of the tags on your animal’s collar as it shuffles around — can wake you up. If you’re feeling chronically exhausted, take a break from the interspecies slumber parties to see if it makes a difference with your disturbed sleep. “Really, there are other places for your dog to sleep besides your bed,” says Jodi A. Mindell, PhD, professor of psychology at St. Joseph’s University in Philadelphia and author of Sleep Deprived No More. If you can’t bear to kick your pets out of the bedroom, which is the ideal, at least set up a new spot for them on the floor. As a cause of sleep loss, this is often a surprise to people. Doesn’t drinking make you drowsy? Isn’t that why people have nightcaps? Isn’t that why college parties always end with everyone passed out on the floor? To prevent your glass of wine from waking you up later, stop drinking two to three hours before bedtime. People who have GERD — gastroesophageal reflux disorder — often find the nights difficult. Once they’re lying down, the acid can back into the esophagus, causing heartburn and pain. Some try to sleep propped up on pillows to cope. What you might not know is that GERD doesn’t always cause such dramatic symptoms. Some people might only have one constant symptom: disturbed sleep. “Even if you rarely have pain, the acid can still be waking you up at night,” says Kramer. GERD can cause other nondescript symptoms too, like chronic cough. If you have GERD that’s interrupting your sleep, getting treated for it is important. Not only will treatment help you sleep, but it will reduce the risk of serious health problems later. Some of the most common causes of disturbed sleep are in your medicine cabinet, but you might not suspect them at all. Common drugs, like steroids for asthma and beta-blockers for high blood pressure or heart problems, can keep you up at night. Despite being called “narcotics,” so can opioid drugs for pain. While they relieve pain quickly — and can make you feel drowsy in the process — they can also lead to sleep apnea. Botanical supplements can cause sleep loss, too. Supplements like ginseng and guarana are stimulants. Even vitamins aren’t free of risk. If you’re having chronic sleep problems, go to your doctor with a list of all the medicines, vitamins, and supplements that you use. Ask if any of them could be causing your sleep problems. Just about any painful condition can cause disrupted sleep. Headaches, back pain, arthritis, fibromyalgia, and menstrual pain are all common causes. What you might not realize is that the pain doesn’t even have to be particularly severe to cause sleep loss. In fact, it doesn’t even have to wake you up. Pain signals sent out by your body can fragment your sleep, reducing the amount of time you spend in deep, restorative sleep. You might not wake up, but your sleep will be less restful. “People with chronic pain often wake up feeling more tired than they were when they went to bed,” says Roth. Even if you have only mild chronic pain, it’s worth checking it out with a doctor. Here’s a common scenario. You come home from a long day at work, completely exhausted. You stumble into the bedroom, fully expecting that as soon as your head hits the pillow, you’ll be out. But somehow, that’s not what happens. 45 minutes later, you’re still staring at the ceiling. What’s gone wrong? “Contrary to what people think, being exhausted doesn’t necessarily make people sleep better,” says Roth. “There’s actually a big difference between being exhausted and being sleepy.” Roth points out that if you ran 50 miles and then dropped down in bed, you would unquestionably be exhausted. However, your body might be far too revved up to sleep. Regardless of how worn out you feel, always take some time to unwind. “Don’t rush to bed after a stressful day,” says Roth. Instead, spend some time sitting quietly first. It could save you lots of tossing and turning later. Or Is It a Sleep Disorder? Of course, you could also have an undiagnosed sleep disorder, one of the common but hardly surprising wreckers. About 40 million people in the U.S. suffer from sleep disorders, conditions that can seriously interfere with the quality of your rest. For instance, periodic limb movement disorder (PLMD) causes your legs to jerk rhythmically while you’re asleep, disturbing restful sleep. Sleep apnea causes snoring and brief interruptions in your breathing, which can also wake you from deep sleep. Since these conditions only manifest themselves when you’re asleep, you might not know you have the symptoms. Many people have sleep disorders for years before they’re diagnosed. Or your partner may have the sleep disorder — disturbing your sleep as well. “If your spouse is snoring and kicking in the night, neither of you are going to sleep well,” says Mindell. There are plenty of other causes of disturbed sleep — a bedroom that is too hot or too cold, shades that don’t block enough light, noises that can be muffled by a sound machine, hot flashes during menopause. Figuring out what might help can take some trial and error. The important thing is to take action. If you’re having trouble sorting out what could be causing your disrupted sleep, ask your doctor or schedule an appointment at a sleep clinic. You should also take time to think more seriously about sleep and how much you’re getting. Do you need four or five cups of coffee to get through a typical day? Do you always have to sleep in on the weekends? Do you tend to fall asleep immediately as soon as you get into bed? Those are typical signs of sleep deprivation, says Roth. In the summer sandwiches are so fast & easy. This sandwich is especially delicious, so make it in a flash & enjoy. Cut salmon into small pieces. In a small mixing bowl combine salmon with cream cheese, capers, onion and cucumber, mix well. Place mixture onto 2 slices of bread, top with lettuce and remaining bread slices. Nutritional information per serve: Fat 6.6 g, fibre 2.0 g, protein 5.6 g, carbohydrates 10.5 g, sugar 1.5 g, sodium 371 mg, kilojoules 677. This recipe has been taken from Annette Sym’s Symply Too Good To Be True range of Diabetes Australia endorsed cookbooks. To purchase a copy, call Diabetes Australia on 1300 136 588. What’s the relationship between humor and health? Read on to find out more. O glorius laughter: Thou man-loving spirit, that for a time doth take the burden from the weary back. It’s said that kids laugh about 300 times a day but the typical adult laughs only 10 to 12 times a day. When was the last time you laughed so hard and long that you had tears streaming down your face? When you just couldn’t stop! When it was so infectious that others couldn’t help but join you? Laughter is is healthy, and it’s infectious. When you hear others, it generally makes you start laughing too. A commonly held belief is that joyous laughing and good humor can result in positive physical, psychological, and social benefits. I came across a related saying that says it all for me: “He who laughs, lasts”. When you have a good laugh, a large mass of muscle tissue in your body is involved, producing a response that provides some bodily conditioning exercise. Dr. William Fry, who dedicated many years to the study of laughter, described it as a total body experience in which all the major systems of the body (muscles, nerves, heart, brain, and digestive system) participate fully. The positive effects of laughter have been found to enhance the immune system. Bringing humor into your life as a coping style may have long term immune system benefits. Believe it or not, it can help dull pain. Numerous studies of people in pain or discomfort have found that their pain doesn’t bother them as much when they are laughing. Many people have heard of Norman Cousins’ groundbreaking accounts of the therapeutic effects of laughing during his treatment and recovery from ankylosing spondylitis. His struggle with this illness is detailed in the book Anatomy of an Illness. Told he had little chance of surviving, Cousins developed a recovery program incorporating Vitamin C, a positive attitude, love, faith, hope, and finally, laughter induced by Marx Brothers films. He discovered that 10 minutes of genuine belly laughter had an anesthetic effect and would give him at least two hours of pain-free sleep. Subsequently, Cousins formed a humor research task force to pursue studies of the connection between laughing and pain relief. As a result, research has been conducted in order to examine the physiological changes and ramifications that result from mirthful guffaws. And here’s an added bonus. It burns calories, too. Okay, it’s minimal – 10 to 15 minutes of laughing burns 50 calories so you’d have to do an awful lot of giggling to lose any weight! The movie Patch Adams, starring Robin Williams, profiled the work of Hunter D. Adams. He runs a medical center in Arlington, Virginia where he applies his unique philosophy that humor, joy, and creativity are an integral part of the healing process. His goal is to bring love, compassion, and laughter to his patients. Some hospitals now have humor rooms, comedy carts, or comedy video channels in recognition of humor as a healing tool. In 1973, Austrian scientist Irenaus Eibl-Eibesfeldt demonstrated that babies born deaf and blind start laughing when they’re a few months old. This seemed to prove laughter was innate, not learned, so it may be more fundamental and universal than previously thought. Hugging, singing, smiling, and dancing, the fundamentals of human joy, bolstered by hard science, may be powerful, no-cost therapies in themselves. The research into humor and healing is still not conclusive, but there is no doubt it won’t hurt you, it will make your life more fun… and it just might help your heart too! Here are some things you can do that might induce that all important response… a good belly laugh! Think of laughter as medicine. Play with children – they’ll make you chuckle! Go for a drink and some lighthearted conversation with good friends. Get someone to tickle you! Literally or figuratively. Look for opportunities to be just plain silly! It’s fun! And it makes you and others laugh! Most women gain weight as they age, but excess pounds aren’t inevitable. To minimize menopause weight gain, step up your activity level and enjoy a healthy diet. As you get older, you may notice that maintaining your usual weight becomes more difficult. In fact, the most profound weight gain in a woman’s life tends to happen during the years leading up to menopause (perimenopause). Weight gain after menopause isn’t inevitable, however. You can reverse course by paying attention to healthy-eating habits and leading an active lifestyle. The hormonal changes of menopause may make you more likely to gain weight around your abdomen, rather than your hips and thighs. Hormonal changes alone don’t necessarily trigger weight gain after menopause, however. Instead, the weight gain is usually related to a variety of lifestyle and genetic factors. For example, menopausal women tend to exercise less than other women, which can lead to weight gain. In addition, muscle mass naturally diminishes with age. If you don’t do anything to replace the lean muscle you lose, your body composition will shift to more fat and less muscle — which slows down the rate at which you burn calories. If you continue to eat as you always have, you’re likely to gain weight. For many women, genetic factors play a role in weight gain after menopause. If your parents or other close relatives carry extra weight around the abdomen, you’re likely to do the same. Sometimes, factors such as children leaving — or returning — home, divorce, the death of a spouse or other life changes may contribute to weight gain after menopause. For others, a sense of contentment or simply letting go leads to weight gain. Weight gain after menopause can have serious implications for your health. Excess weight increases the risk of high cholesterol, high blood pressure and type 2 diabetes. In turn, these conditions increase the risk of heart disease and stroke. Excess weight also increases the risk of various types of cancer, including colorectal cancer and breast cancer. In fact, some research suggests that gaining as little as 4.4 pounds (2 kilograms) at age 50 or later could increase the risk of breast cancer by 30 percent. What’s the best way to prevent weight gain after menopause? Move more. Aerobic activity can help you shed excess pounds or simply maintain a healthy weight. Strength training counts, too. As you gain muscle, your body burns calories more efficiently — which makes it easier to control your weight. As a general goal, include at least 30 minutes of physical activity in your daily routine and do strength training exercises at least twice a week. If you want to lose weight or meet specific fitness goals, you may need to increase your activity even more. Eat less. To maintain your current weight — let alone lose excess pounds — you may need about 200 fewer calories a day during your 50s than you did during your 30s and 40s. To reduce calories without skimping on nutrition, pay attention to what you’re eating and drinking. Choose more fruits, vegetables and whole grains. Opt for lean sources of protein. Don’t skip meals, which may lead you to overeat later. Seek support. Surround yourself with friends and loved ones who’ll support your efforts to eat a healthy diet and increase your physical activity. Better yet, team up and make the lifestyle changes together. The bottom line? Successful weight loss at any stage of life requires permanent changes in diet and exercise habits. Take a brisk walk every day. Try a yoga class. Trade cookies for fresh fruit. Share restaurant meals with a friend. Commit to the changes and enjoy a healthier you! 2. Mix the tamari sauce with the same amount of water; add the garlic and ginger together and combine. 3. Place the snapper in a baking dish and pour over the sauce mixture; cook in the oven for approximately 10-15 minutes or until cooked through. 4. Meanwhile, thinly slice the onion and cucumber, toss together and set aside. Also slice the red chilli and set aside. 5. Prepare the rice according to the packet instructions; transfer to a serving plate. 6. 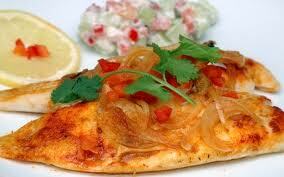 Top the rice with the cooked snapper and cucumber salad and drizzle the juices from the baking dish over the salad. Garnish with the sliced red chilli. WIN A Trip To Le Tour De France! Yes, you read that headline correctly WIN A TRIP TO LE TOUR DE FRANCE! WIN a Les Mills Body Bike Mountain Bike. WIN a 5 Night Holiday at Le Tour De France. This prize is valued at $21,000!!! Grab an entry form off your instructor at the end of your class. Pop your name on the form and place it in the box at reception. The Tour De France is the biggest cycling event in the world, imagine being their to cheer Cadel Evans on. Awesome!! Lets get riding and good luck to all participants. & on their way to exciting new careers in the fitness industry and more immediately… with us! From February Matt will be doing what he does best & providing (what he says is) his usual wit, charm & charisma, as well as ensuring all of you are looked after by becoming the Coffs Coast Health Club Service Manager. On the other hand, Sammy will be devoting her time & energy to Personal Training. As a lot of you have already discovered Sammy has a passion for helping people & a desire to ensure that as many people as possible become fitter & healthier. You will also still see Sammy at reception, in childminding & teaching some group activity classes. Sawtell New Years Day Fun Run! 2012 Sawtell New Years Day Fun Run. The weather was perfect the & the spirits were high! will be attending & supporting you throughout 2012. Now You Can Become A Personal Trainer Too! Are you over your job? Do you need a change? If so, then do something you’re passionate about, help people achieve their goals & kickstart your career in fitness! Act now & join Australia’s fastest growing provider of fitness qualifications. Have an exciting career that helps keep you fit & healthy. Experience the best hands on practical training available & begin your new career today in the regions most awarded health club. Coffs Coast Health Club has joined forces with the Australian Institute of Personal Trainers www.aipt.com.au to now provide Certificate III & Certificate IV ‘FAST TRACK’ courses in Fitness. We are now currently having our first student intake for a February start. If you are interested in becoming a personal training student, simply complete the application form here on our website & drop it in to reception on your next visit. The course starting in February will have limited places available, so be quick! If you would like further information before completing the application form, Duncan Marchant, one of the club owners & lecturer will be hosting a Career In Fitness Information Evening on Tuesday 24th January from 6.30pm at the Sawtell Surf Club. Places are limited, so bookings are essential for the event & can be made at reception. What Would You Like Us To Do With Our Two New Rooms Upstairs? Nathan & Duncan have been working hard on creating two new consultation rooms upstairs in between the boxing studio & the cycle studio. The rooms are approximately 3.5m x 4.5m & we are wondering what you would like us to do with them. Ideas already thrown around for one or both of the rooms are: one on one consultations or treatments for massage, beauty therapy, tanning, nutrition, weight loss, pilates & yoga. You may also know of someone that is looking for a space to rent for their business & if so, please ask them to contact Duncan directly on 0411 103 867. The business would obviously have to be of benefit to our members to be considered. Please text your ideas to Duncan on 0411 103 867 by Sunday 15th January & the person with the winning idea will receive 3 months FREE MEMBERSHIP! You ask & we deliver… PUMP Technique Classes are coming soon! Whether you are a new or experienced participant, PUMP Technique classes are the most effective way to teach you about the program & the exercises correctly. This class will help everyone learn the most efficient ways to set your equipment up for the class, select the best weight appropriate for for you, the correct technique for each exercise & ensure you are getting the best results from your efforts. The PUMP Technique classes will take place before your normal PUMP classes on Wednesday 18th January at 9.00am & Monday 23rd January at 5.00pm. There is no need to book, just show up on the day. We would also like you to join us in welcoming Ash to Tuesday night ZUMBA. Rochelle finished her last class just before Christmas and has moved back to Sydney to be closer to her family but Ash has been teaching ZUMBA for a while now & also participating in many of Rochelle’s classes before she left. She is excited to be teaching at the club & will bring plenty of passion & flair to her classes. Charity Trivia Night & Raffle for the Cancer Council! Join your favourite trainer & fellow members & friends at the ‘Dancing with the Stars’ Charity Trivia Night raising money for Cancer Council NSW. Book a table of 10 & grab some people you know or join a table & meet new people. The night was hilarious last year & is sure to be a hit again this year! Their will also be a number of prizes & giveaways on the night! BSc New Year, New You Sale! To kick 2012 off with a bang & help you get your pre-party season body back, we are now offering an amazing special of 25% OFF the HydroxyBurn Pro Formula! Used as a post workout protein shake, and loaded with both fast and slow release proteins, HydroxyBurn Pro is a must for your gym bag in 2012. Even though it acts as a protein shake, its jam packed with loads of vitamins, minerals and fat metabolisers that help to aid in weight loss. HydroxyBurn Pro encourages thermogenesis, which is the body’s natural ability to burn calories by creating heat. We also provide 10% OFF individual products to all members if you have more targeted needs. Inquire at reception for further information or speak with your trainer but make your move today as we have limited stock available. The club will be closed on Thu 26th Jan but will remain open with normal hours, classes & childminding throughout the remainder of January. Enjoy your Australia Day, experience the great outdoors & spend some quality time with quality people. Click here for more information on membership, personal training, nutrition complete, rehabilitation, group exercise, childminding, privileges card & fitness careers or call us on 6658 6222 for more help. Thank you again for being a loyal and supportive Coffs Coast Health Club Member. 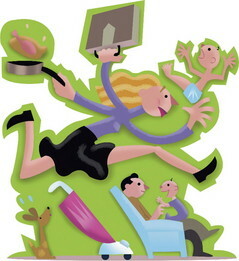 You are currently browsing the Coffs Coast Health Club blog archives for January, 2012.